THE ALL-NEW, 2019, ABSOLUTELY-AMAZING, T-100 IS NOW IN-STOCK AND READY TO TAKE YOU ANYWHERE YOU DREAM OF RIDING! 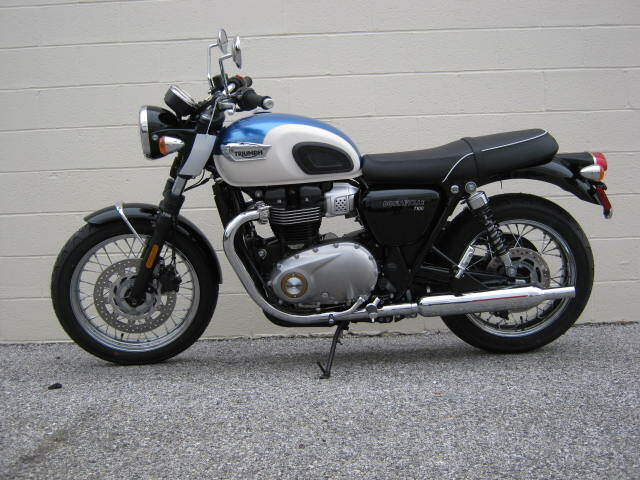 OVER THE YEARS THE T-100 HAS BECOME SYNONYMOUS WITH OLD-SCHOOL COOL AS IT TAKES THE CLASSIC BONNEVILLE AND THEN ADDS RETRO TOUCHES LIKE WIRE WHEELS, CLASSIC FENDER STRUTS, TANK PADS, FORK GATORS, DUAL ANALOGE GUAGES, AND THE LIST GOES ON AND ON! 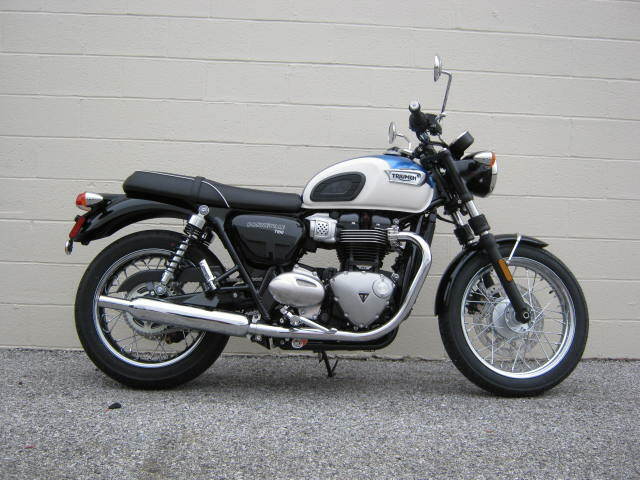 BUT THE BONNEVILLE IS ALSO LOADED WITH ALL THE LATEST FROM TRIUMPH. BUILT ON THE NEW BONNEVILLE FRAME AND FEATURING THE ALL-NEW, LIQUID-COOLED, HIGH TORQUE PARALLEL TWIN, THE NEW T-100 IS UNLIKE ANY BONNEVILLE EVER MADE. SMOOTHER, MORE POWERFUL, AND MUCH IMPROVED OVERALL FIT AND FINNISH – THE NEW BONNEVILLE NOW STANDS ALONE AT THE TOP OF THE MID-SIZED CRUISER CATEGORY. THE LEGEND NOT ONLY LIVES……..IT GROWS!! !